Soft seating from Knightsbridge’s Lucia range has been specified to fit out Next’s new Gateshead store. 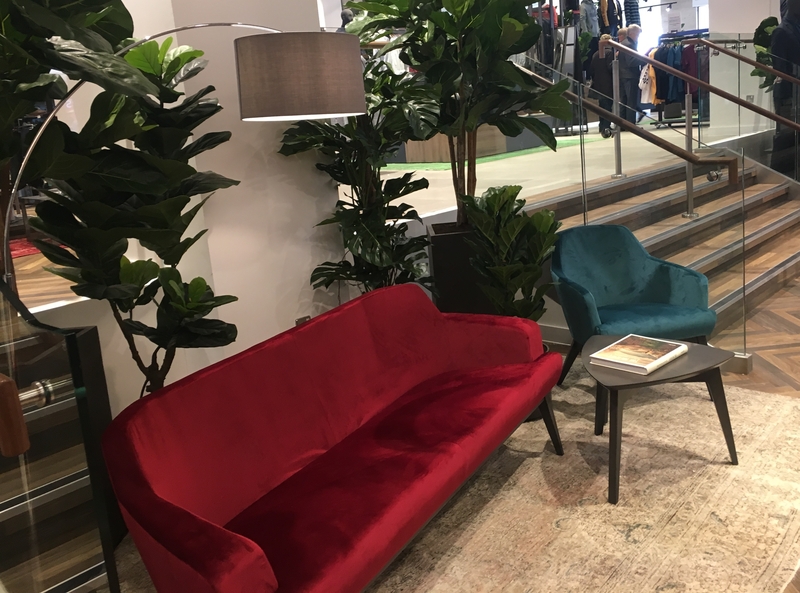 Handcrafted at Knightsbridge’s factory in West Yorkshire, the pieces, upholstered in luxury velvet, feature elegant tapered legs, a solid wooden frame and a compact footprint to maximise floor space. GoGo Trilobe Coffee Tables, designed by John Coleman exclusively for Knightsbridge, were selected to complement the Lucia range of seating. To find out more about our corporate collections visit https://www.knightsbridge-furniture.co.uk/workplace/ , or get in contact with our customer service team on 01274 731900 or email enquiries@knightsbridge-furniture.co.uk .